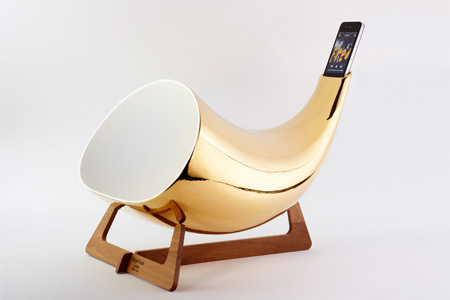 Horn shaped iPhone speaker, designed by Italian company en&is, allows you to listen to your favorite music without headphones. 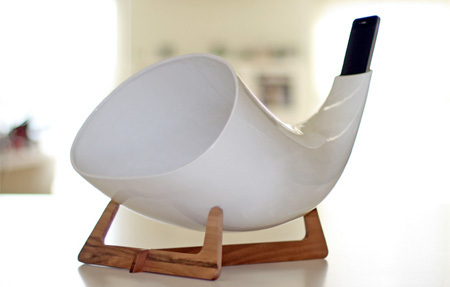 Ceramic megaphone will amplify the sound of your iPhone or iPod Touch. 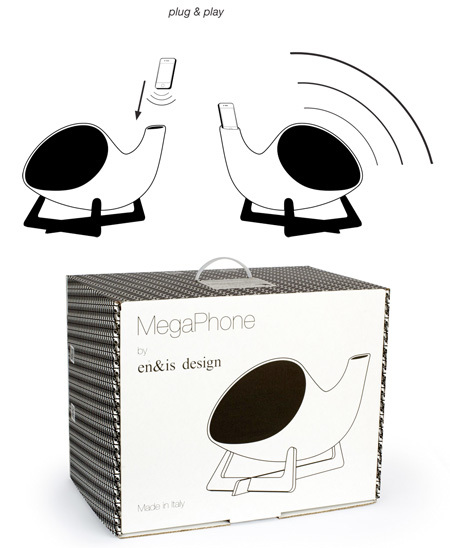 It does not use any electricity and comes with elegant wooden stand. This looks very cool and I love the environmentally friendly and artistic design! AMAZING!!!! i really want one but the only default to this design its just not portable if they made a mini one that was portable that would be amazing! but still could be as loud as the big one! Yes Im sure the process of firing ceramics is far more environmentally friendly than another amplification method. Plays music without headphones?? WOW! Oh wait, don’t they have, like…speakers? Horn of plenty indeed. Very attractive indeed. 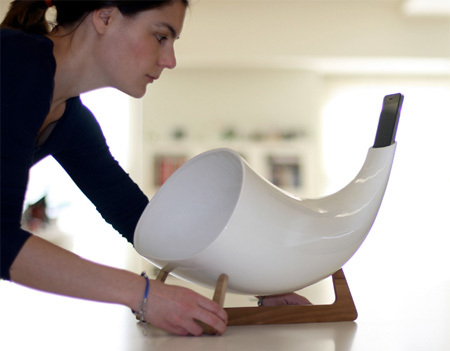 It is very cool how speakers are getting integrated into our living environments these days. Woah! 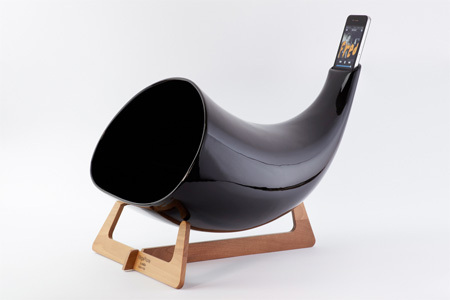 It sure give a new meaning to blow a horn!!!! I think the idea is very thoughtful. Wouldn’t be for me though. pTc is obviously mad they did not think of this first. Yes yes, lets all stop buying dishes, stove tops, crockery in general and assorted aeronautic as well as other industrial parts because firing ceramics is bad for the environment. Oh wait, no, lets all go back to living in caves and eating raw meat because that’s environmentally sustainable. Hmmm…. catching on to the sarcasm at the more envro than thou tude yet? Just checkin. Personally I think it’s much cooler than constantly using electricity for every little thing. The only energy used is in it’s creation and transportation to your home. Then it’s environmentally neutral the rest of it’s working life. Unlike socks, you don’t even have to wash it.